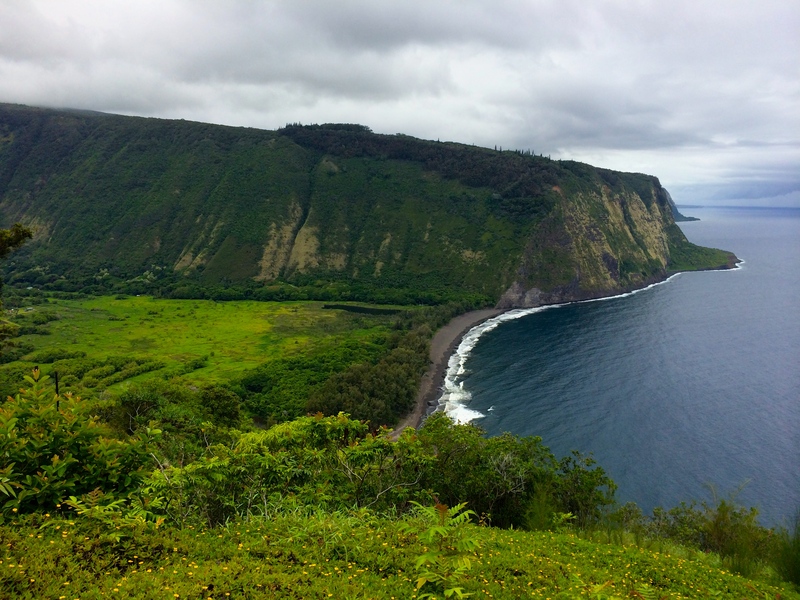 We took a couple days to do a full ‘recorrida’ around the Big Island, and I am so glad we did! Every stop we made was one WOW after another. 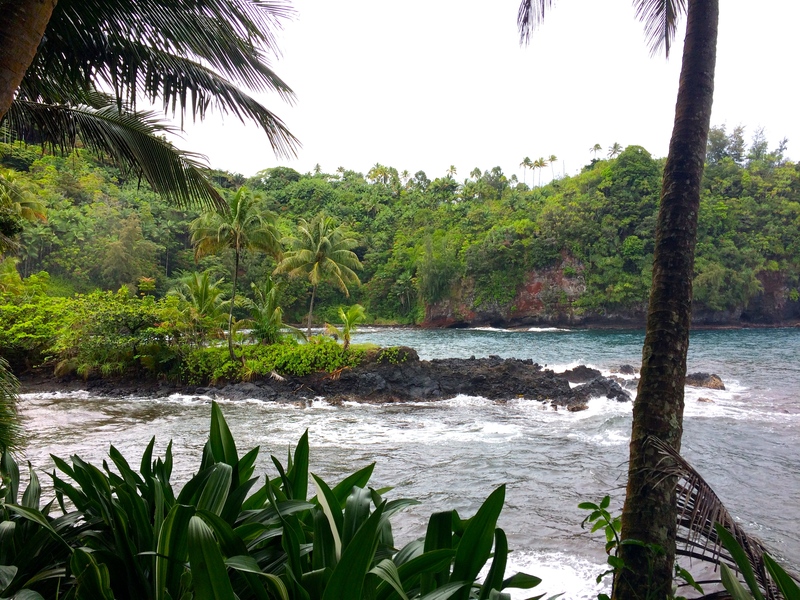 Having travelled around the island a bit, I would recommend splitting your vacation time on the island between the Kona and the Hilo area. 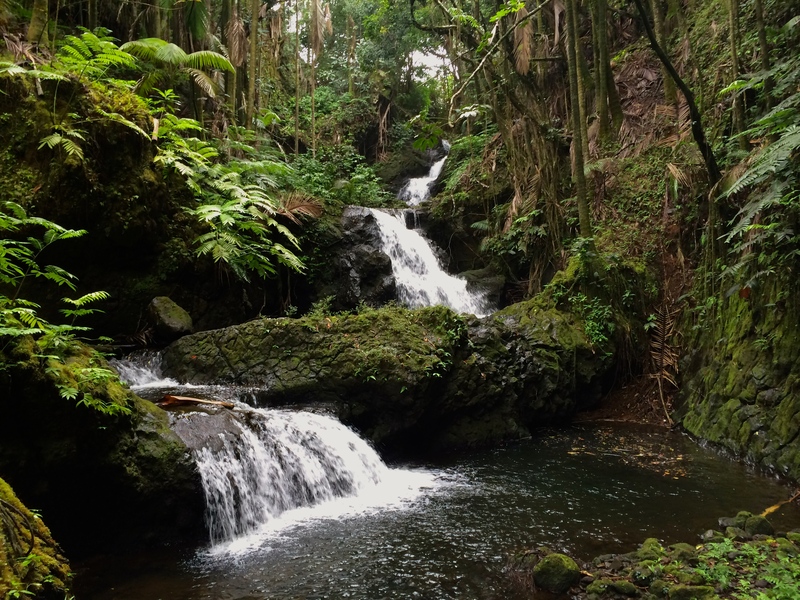 Although the Hilo area is called the wet side, and it definitely does get a lot more rain, there is lots to explore and it is worth suffering through some rain showers. Our first stop was the Waipi’o Valley Lookout. Absolutely majestic. A spot just off the 240 highway, this place is a must see. I would also recommend a quick stroll through the small shops in town afterward. Next we took a scenic route off the 19 hwy. One of the things we have noticed is that many streets and highways are not very well marked on the island. There are many things you might miss if you don’t already know they are there. For example, Hawai’i Tropical Botanical Gardens is something you must see but you might drive right by it if you’re not sure where it is! Off the 19 about 30 miles before entering Hilo, there are signs for a scenic route that lasts about 4 miles. 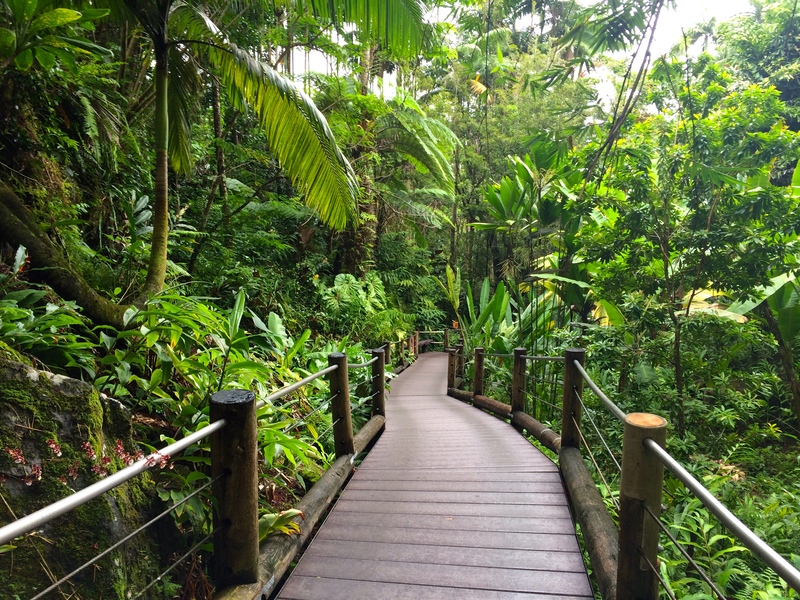 Off this road is the beautiful Tropical Botanical Garden that is full of exotic plants, flowers, waterfalls and spectacular views of the ocean. To end the day we had a delicious Thai dinner in the town of Hilo, stayed at the Hawaiin Hilo Hotel and crashed after the long drive and many adventures from the day. The view from our room was a great relaxing way to end the day.